1.How do you understand the concept of broken copper and floating copper? From the perspective of PCB processing, copper foil with an area smaller than a certain unit area is generally called broken copper. These too small areas of copper foil may cause problems due to etching errors during processing. From an electrical point of view, the copper foil that does not have any DC network connection is called floating copper, and the floating copper will have an antenna effect due to the influence of surrounding signals. The floating copper may be broken copper or a large area of copper foil. 2.What is the relationship between the line width and the size of the vias on the PCB and the amount of current that is passed? A typical PCB has a copper foil thickness of 1 ounce. Approximately 1 mil, the maximum current allowed for a line width of 1 mil is 1 A. The via hole is more complicated, in addition to the size of the via pad, and also related to the thickness of the copper wall after plating. 3.How to deal with some theoretical conflicts in actual wiring? In actual wiring, basically, it is correct to isolate the analog/digital division. It should be noted that the signal trace should not cross the moat as much as possible, and do not let the return current path of the power supply and signal change too much. The crystal oscillator is an analog positive feedback oscillator circuit. To have a stable oscillation signal, the loop gain and phase specifications must be met. The oscillation specifications of the analog signal are easily disturbed, and even ground guard traces may not completely isolate the interference. And too far away, the noise on the ground plane will also affect the positive feedback oscillator circuit. Therefore, be sure to keep the distance between the crystal and the chip as close as possible. There are many conflicts between high-speed wiring and EMI requirements. However, the basic principle is that the electrical resistance of the EMI or the ferrite bead cannot cause some electrical characteristics of the signal to fail to meet the specifications. 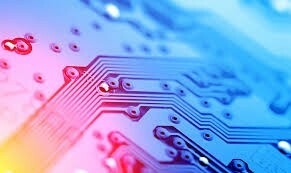 Therefore, it is best to use the techniques of routing and PCB stacking to solve or reduce EMI problems, such as high-speed signals going inside. Finally, use resistors or ferrite bead to reduce the damage to the signal. 4.How is the differential wiring method implemented? There are two points to note for the wiring of the differential pair. One is that the length of the two lines should be as long as possible, and the other is that the spacing between the two lines (which is determined by the differential impedance) should remain the same, that is, to be parallel. There are two ways of paralleling. One is that the two lines are on the same side-by-side, and the other is two lines that are on the top-by-side. In general, the side-by-side implementation of the former is more. To use differential routing, it must be meaningful that both the source and the receiver are differential signals. Therefore, differential wiring cannot be used for a clock signal with only one output. The matching resistance between the differential pair of the receiving end is usually added, and its value should be equal to the value of the differential impedance. This signal quality will be better. The wiring of the differential pairs should be properly close and parallel. The proper proximity is because this spacing affects the value of the differential impedance, which is an important parameter in designing the differential pair. Parallelism is also required because the consistency of the differential impedance is maintained. If the two lines are too close, the differential impedance will be inconsistent, which will affect signal integrity and timing delay. 5.How to solve the contradiction between manual wiring and automatic wiring of high-speed signals? 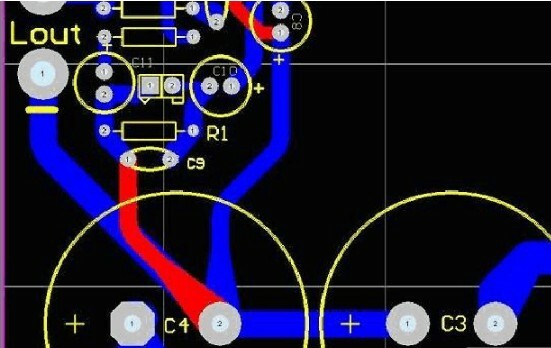 Most of the autorouters of the current wiring software have set constraints to control the winding method and the number of vias. The EDA company's winding engine capabilities and constraints are sometimes far from being set. For example, is there a sufficient constraint to control the serpentine, whether it can control the spacing of the differential pairs, and so on. This will affect whether the routing method that is automatically routed can meet the designer's ideas. In addition, the difficulty of manually adjusting the wiring is also absolutely related to the ability of the winding engine. For example, the ability to push the line, the ability to push through the hole, and even the ability of the wire to push the copper. Therefore, choosing a router with a strong winding engine is the solution.